The term aromatherapy means “treatment using scents.” Aromatherapy is a form of herbal medicine since it utilizes plants (such as flowers, spices, or herbs) for medicinal purposes. However, whereas in traditional herbal medicine whole herbs are typically ingested, in aromatherapy only the volatile, essential oils of plants are used for their healing benefits. These essential oils are very concentrated and should not be ingested. Instead they confer their healing properties through the power of scent. When we inhale the vapors from an essential oil, the scent goes directly to our brain via the limbic system. There that scent can evoke memories, induce feelings of calm, impact alertness, and otherwise positively impact overall well-being. In addition, essential oils are readily absorbed through the skin, which enables them to promote a variety of healing effects within the body. When utilized in massage or in skin care products, essential oils can act as pain relievers, anti-inflammatories, fungicides, diuretics, expectorants, and antibacterials. Many essential oils can cause burns or irritation, and most must be diluted with carrier oils (such as jojoba, almond, grapeseed, coconut, or sunflower oil) before using on the skin. Lavender and tea tree oil are two of the few oils that don’t require dilution. They are ideal for treating cuts & scrapes as they are antibacterial and antifungal. Many essential oils should not be used during pregnancy. Hydrosols come from the condensed water left following essential oil extraction, which makes them more dilute and gentle. Peppermint hydrosol is cooling for hot flashes. Neroli hydrosol is uplifting and acts as an antidepressant. Citrus oils should ideally be organic. Citrus and needle oils are good for a year, and then they oxidize. However, you can still use them in a diffusor. Essential oils are excellent for respiratory health. Eucalyptus, rosemary, pine, ravensara, niaouli, myrtle, tea tree and spruce are all helpful for that purpose. It can take 5000 roses to make just 1 tsp of essential oil, making high quality rose oil very expensive. Aromatherapy – Healthy.net –www.healthy.net/Alternative_Therapy/Aromatherapy/2 – a helpful resources including a materia medica section that details the uses of specific essential oils. *Note the site sells numerous products, so the information could be biased. Institute for Integrative Aromatherapy – www.aroma-rn.com – a source for aromatherapy education, the sites resources section contains a variety of helpful aromatherapy websites. The International Federation of Aromatherapists –www.ifaroma.org/en/home/ – the site offers resources for finding aromatherapists and aromatherapy education, along with information on the Aromatherapy Times Magazine. Lavender Oil for Anxiety and Depression – (2/7/2012) an article from Natural Medicine Journal by Naturopath Jeremy Appleton reviewing the clinical safety and efficacy of lavender oil. National Association for Holistic Aromatherapy – www.naha.org– a membership organization with educational resources for aromatherapists. The Sense of Smell Institute – www.senseofsmell.org/index.php– a site from The Fragrance Foundation that explores the wonders of scent. The following programs are approved by the American Holistic Nurses Association. 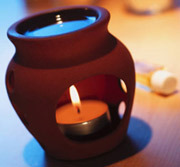 Enfleurage – www.enfleurage.com – beautiful site with a wide variety of aromatherapy oil and supplies. The Laboratory of Flowers – http://labofflowers.com – purchase high quality essential oils from around the world. Mountain Rose Herbs – www.mountainroseherbs.com – find organic essential oils, aromatherapy sprays and more. Nature’s Gift – www.naturesgift.com – the site is a little difficult to navigate, but it includes a helpful chart of Essential Oils for Emotions Issues. Original Swiss Aromatics – www.originalswissaromatics.com – A great source for essential oils, hydrosols, vaporizers and more. Scent and Sound Works – www.scentandsoundworks.com – unique essential oil blends from aromatherapist Maren Good. Silver Moon Herbals – www.silvermoonherbals.com – the site’s herbal learning center has detailed information on numerous essential oils, and offers unique essential oil products and gifts. C. Norman Shealy, MD, Ph.D. The Illustrated Encyclopedia of Healing Remedies, 2002. Mark Evans B Phil., FNIMH. Yoga, Tai Chi, Massage, Therapies & Healing Remedies, 2004.